Description : As we know Sasuke and Naruto is the true rival. When Sasuke has masterred Chidori, Naruto get his rasengan. Even they always tried to compare their most powerfull jutsu. Sasuke ever used Chidori to face againt Naruto's rasengan in Valley of the death. 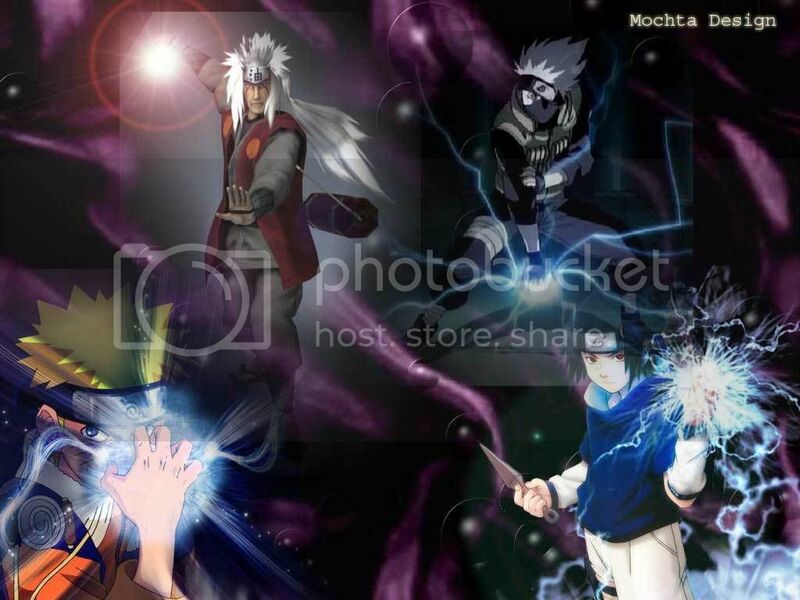 Sasuke learn Chidori from Kakashi and Naruto learn Rasengan from Jiraiya. Try to clicking on image if you wanna get this Chidori Vs. Rasengan Wallpaper. Hmm Very cool wallpaper, get this soon guys.